Bullet journaling is a life saver since this compact system can be used to manage your whole life. It’s a great way to save time and keep yourself organised but did you know that it can also be used to stay on top of your finances? If you struggle to get a handle on your finances, then a bullet journal is an excellent option! This type of journaling system keeps all of your finances in one notebook, where you can track everything from bill paying and money coming in, to looking at your spending habits and learning how to save more money. You can start the financial part of your bullet journal by including some general information about your money. Have this page be dedicated to the current state of your financial situation, what is in your bank and savings accounts, and just a brief summary of where you want to go from here. List some of your major debts and expenses, how much you earn and how often, and how much you are trying to save. Your finance section should also have an area where you can track your spending on a daily basis. This is necessary so you know where your money goes and in what areas you might be able to cut back. Perhaps you find that you spend a good portion of your extra money on clothes, or going out for happy hour is costing a little too much. Just tracking what you spend and on what can make a drastic difference. Part of tracking your finances in a bullet journal can be to start a savings plan. This might include saving for specific things, such as your child’s college fund, buying a new car, or starting a business. You can also have open-ended savings plans, such as wanting to save money for a 10-year plan you have in mind, or just saving for your retirement. It helps to first list your main expenses and what you currently spend for a while so you can see exactly what the leftover money will be for your savings plan. If you run a business, make sure you are keeping your business and personal finances separate. This helps you to determine what money is spent on your personal situation and business responsibilities, but also helps to reduce combining work and personal stress. Having separate bank accounts and separate funds for them is also highly recommended. Have a few extra pages following the financial section of your bullet journal just in case you decide to add more later on. One of the main benefits of a bullet journal is that it can help to organise your entire life. Once you’ve planned out your financial situation in your bullet journal, you can begin to include some other aspects. You will know better what areas of your life need better organisation as everyone’s bullet journal is personal to them. The following tips help you include some general life categories in your bullet journal. To start with, your bullet journal should include an index with page numbers on each page, and symbols for the various notes. These are some of the basic elements of a bullet journal that help get it organized and let you know how to find different sections of the journal. 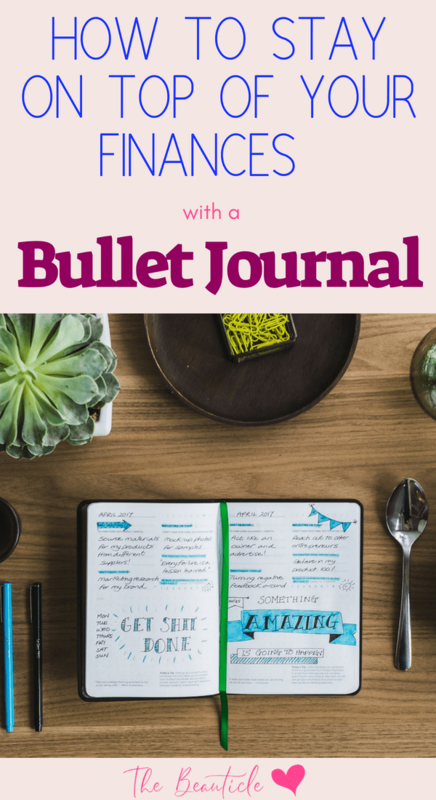 A full setup guide for your bullet journal can be found here. You can title each section as needed, but make sure it is also included in the index. Update the index as much as you need to. Calendars are another very important part of having a bullet journal. You want to keep track of your appointments and schedules, and to do that you need multiple ways to do this. Just having a regular monthly calendar is great, but it makes it hard to include more information. However, if you just had a daily or weekly calendar, then you wouldn’t have the benefit of seeing your month at a glance. For this reason, it is good to have daily, weekly, and monthly calendar pages in your bullet journal. Not everything in your journal has to be about your daily tasks and to-do lists. You can also get more in-depth and really keep track of where you want to be in life. You can start a bucket list or have a 5-year or 10-year plan in certain sections of the bullet journal. It also allows you to see what your main life goals are, make a list of what you need to do in order to achieve them, and then work on those tasks one at a time until you reach your goal. To take better care of yourself, make sure you include a health or lifestyle section. This part of the bullet journal is where you log your food, create meal plans, and make grocery lists. You can collect recipes and include them or make lists of areas where you want to improve your nutrition. This also works great if you want to log in your weight and measurements to track them or find out what your fitness routine should be. If you are trying to start a business, definitely include that in your bullet journal. Enter notes about the type of business, what you need to start it, if you will have employees, how to get the legal and tax information done, and what marketing methods you would like to use. There are many benefits to keeping a bullet journal and this post highlights some ways that you can use it to stay on top of your finances. What are some ways you like to use a bullet journal?